Getting a little old now, but still holds up well. I started playing with some friends in 2010 and have had loads of fun. Now I will admit, when I first started it was a daunting thing, the controls and concepts are really different for a person coming fresh out of World Of Warcraft and then going into this parallel universe where you can go so far was just mind blowing. But after a week or so, you can easily get the hang of it, and start making the currency of the game known as ISK. The controls are a little hard to get use to, but with the option to macro what you want to keys, it’s easy for even that novice to act pro, pounding his fists on the keyboard to keep him alive. But with some mouse clicks combined with button clicks, you can do everything quickly and easy. The game sounds are original, and suit what is happening, if you shoot a missile, you expect it to go boom, and it does, and all the guns have their own sound, everything, and anything you do has a sound. Game mechanics are pretty good, giving leeway for you to do different things. For instance, this game incorporates something called Security levels (Sec levels for short) for both solar systems, and your character. Solar systems have security statuses from 1.0 (Highsec) to -1.0 (Null sec) any system with the security level 1.0 to 0.5 is Highsec, and in effect safe for the people who want to be left alone, and is enforced by Concord, a NPC army that will destroy you in seconds if you attack someone while in Highsec, except for if you are at war with the characters corp. 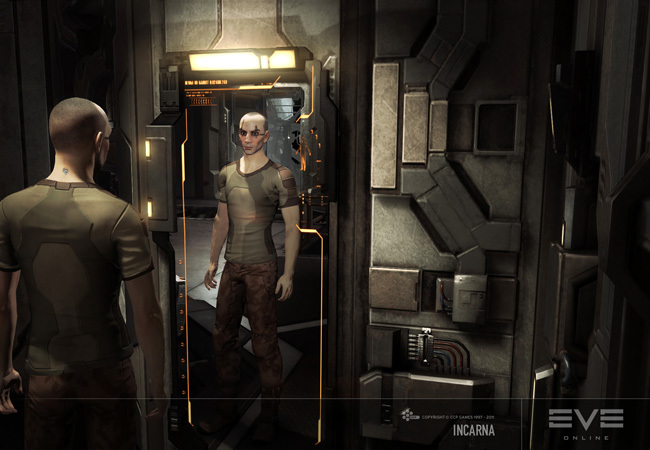 Anything 0.4 to -1.0 is Low and null sec, a place where the men are separated from the boys, where you fight to survive. Here the rewards are higher, but the risks are as well, here some of the largest Alliances are stationed, and fight over territory. 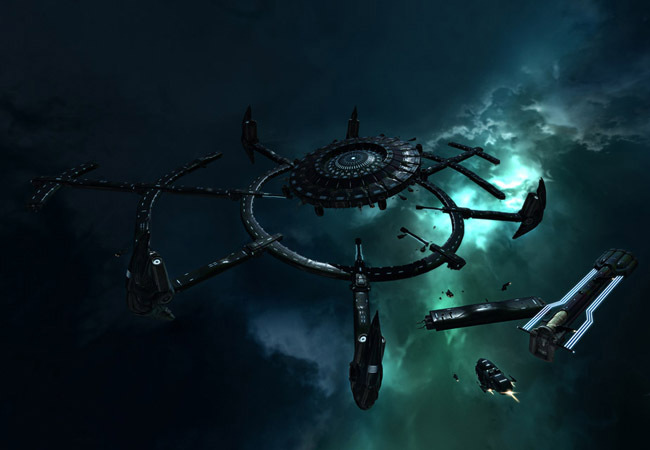 If you’re wondering what an Alliance is in EVE, it’s a collection of Corporations (Corps) that have created a standard to fight under, and if they are daring enough, they will put there foot into the deep and dark world of nullsec, and claim territory under the name of their alliance, and fight to defend it. Now let’s get down to brass tacks here, the game play in this game will vary depending on what you want to achieve in this game, but I’ll give you a quick rundown of what you will expect if you go down one of these 3. 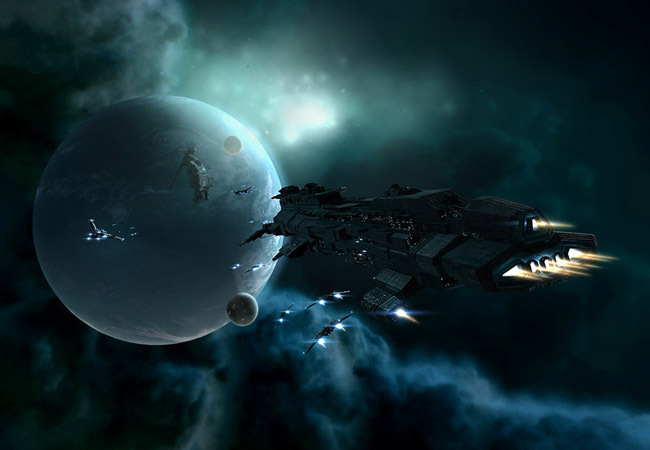 If you play all guns blazing, you will find yourself moving permanently into nullsec, joining a big alliance and spending a lot of time fighting in large, fast paced battle, where you put your life on the line. But the plus side is that as you get better, you will learn how to earn money in this game, and prosper from the spoils of war. 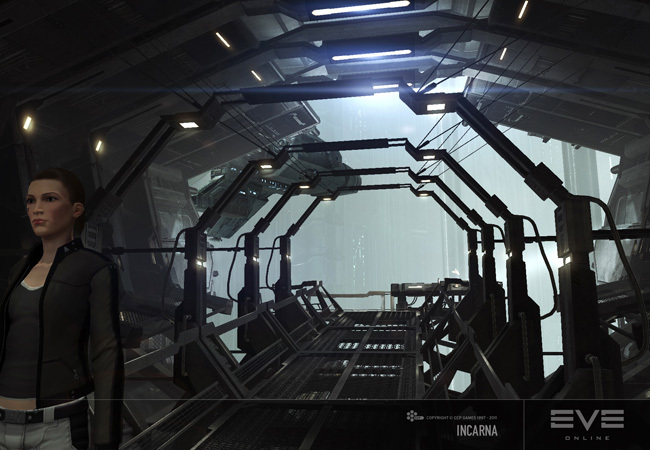 If you choose to take the industrial role, and start making things, then you will find yourself also in nullsec, mining the precious minerals out in space, taking them back to station, refining them, and using them to make an array of things. Now with this you really WILL get rich, but you will first have to slug through the hard bits, before this, and you will experience a large amount of time where you can’t make much. The last option, become a bleeding hearted care bear, you will stick in Highsec your whole life, complaining about the asteroid belt rats and not making huge amounts of money… period. The world that you see in this game is amazingly huge, and unlike World of Warcraft, it’s all hosted on just ONE server… 40,000 players on at anytime, able to interact with each other over 7,500 solar systems. This allows for huge battles to go on, with over 2 thousand people being able to fight in the same system, while other people go around their business. Which is just amazing, whenever i go on EVE news, there has always been a fight at some point or another, it’s just great. Now the playability of this game is almost chained, even thought the game was released in 2003, there is yet still no one person who has actually trained every skill yet to max level, and there is no real end to the game, you can just continue for as long as you want, getting even more stronger. Now this is my MOST POSITIVE thing about this game… you ready for it? The staff at CCP. These are some of the most awesome people ever, they play the game, they joke around, and just act like normal people, and unlike WoW (sorry, i keep saying WoW as a comparison, but its the what i came from at the beginning) you can actually meet the staff, they will joke with you, have fun. They’re just so funny, they like to troll people as much as the next person, and do a lot with the community, I’ve personally had the honour of being invited by some CCP staff to go on a raid with them, and it was probably the most fun I’ve ever had, they just love to laugh, and joke around (CCP sky’s Nanofit Passive tanked Drutix was legend). ay the Minmatar pray their ships will stick together haha. So I’ve talked Pro’s for a while… Let’s talk cons! Well to start with, here I am writing this, and I think “hey ill start-up EVE Online so that I can have it there to reference when I need” so I launch it and it said I have an update… No problem, accept: Download size 1255MB *FACEPALM* guess I won’t be getting on anytime soon, yes, a very negative thing is when its patch day, it REALLY is patch day. Another bad is the fact that it’s hard to start off, and there is so much to learn in that time, it really does take some head scratching, and asking in local and the novice help channels to get some answers, and then there are always the people who want to just trip you up and tell you a lie, which I’ve had the feeling of being fooled many times. In conclusion, this game will suit the desires of both casual and die hard gamers, offering many career choices, and no scripted levelling or storyline you need to follow, a pure sandbox. I would recommend this for anyone looking to have some fun, and if you know anyone who has it already, get him to send you a friend trial, allowing you to play for 21 days instead of the usual 14 day trials you get if you just register. This is a Pay 2 play game, and the costs are around �7-9 per month (�9.99 from May 2012), so normal P2P game rates. Thanks for reading, this has been my first review, so apologies for how utterly bad it may be! 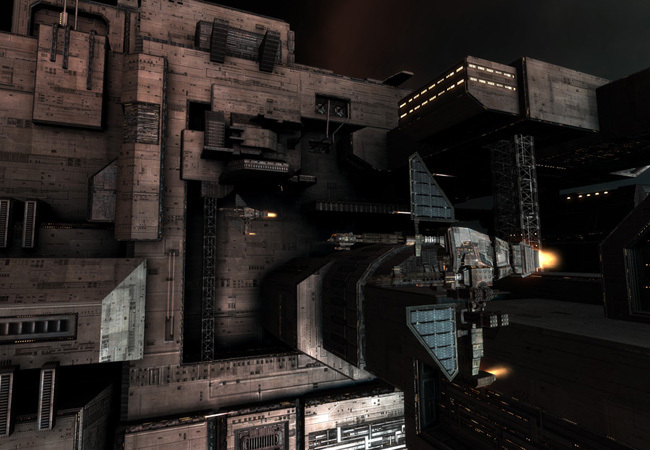 The Good: Deep, engaging space combat and resource management. Vast user base.